▪ Respond to public agency requests for emergency rule modifications on health, human services, and utility concerns. The LSNF Panama City office remains intact and will be opened as soon as we have power. Even as our staff faced losses, they are already on the ground, providing outreach and education on legal rights of those affected by the storm. They are responding to illegal evictions and other issues as those affected continue to call our Intake line, staffed by our other offices. As we as an LSNF family heal and respond, we look to our communities and supporters, near and far, to continue supporting the work we do. Now is the time to come together and protect our most vulnerable populations at their most vulnerable time. We cannot do this without you! We ask you to consider supporting the work LSNF is and will continue to do to help residents affected by Hurricane Michael. Many of those impacted do not have access or the ability to hire an attorney. Giving to LSNF provides us the resources we need to help residents who need help navigating an often confusing legal system. 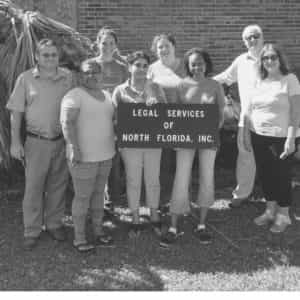 Legal Services of North Florida (LSNF) needs your help! 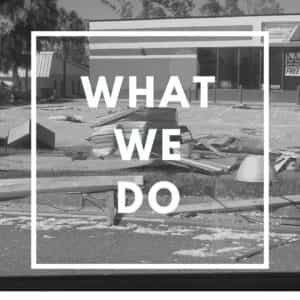 We are here to provide critical legal aid to residents across the panhandle that were impacted by the devastation left after Hurricane Michael. Are you an attorney? Want to help residents needing advice and legal services? Click below to sign up and learn more.